Correct preservation of tires ensures easy long-time use. 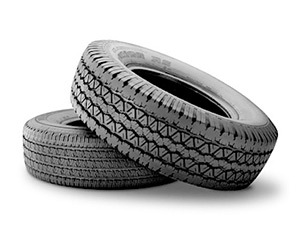 The tires should be stored in a dry ventilated area, they also should not be exposed to direct sunlight, otherwise the rubber will crack and lose its elasticity. Immediately before putting the tires for storage you need to clean them from dust and dirt and apply a protective layer of lubricant to the outer tire surface. After that you can put the tire into a plastic bag and it will be well preserved. It is necessary to remember that if a tire is stored separately from the disc, it has to be kept in upright position. Roughly once a month you have to turn tires over. If tires are stored together with discs, you can stack them in a pile or keep suspended.